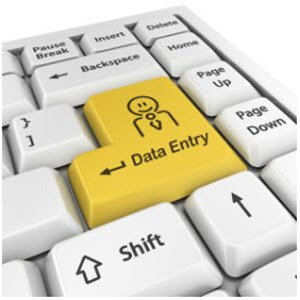 Enter data on either MS-DOS or TRSDOS computers with this common data-entry routine. Photo. MDEntry sample data input screen to input name, address, and phone number. Setting up a data base using an IBM clone is usually not difficult, but when you have to enter 35,000 names, addresses, and other pertinent data, it becomes a problem. The actual work of entering the data for this project was to be split up among three computers, one IBM clone and two Model 4's. I needed a program common to both types of machines, so I wrote Multipurpose Data Entry, or MDEntry (see Program Listings 1 and 2). See photo for sample data input screen. As I started to write MDEntry, I thought how often I had written almost this same program for entering data. However, to convert an old program, I would have to do a complete rewrite. What I needed was a versatile program that would let me rewrite the rewrite if I decided to enter more data. In addition, I wanted a data-entry program that I could use with other data programs. I wanted to be able to expand it and to custom-fit it to other needs. And it had to run on both machines. using checksums in Listings 1. 2 and 3.